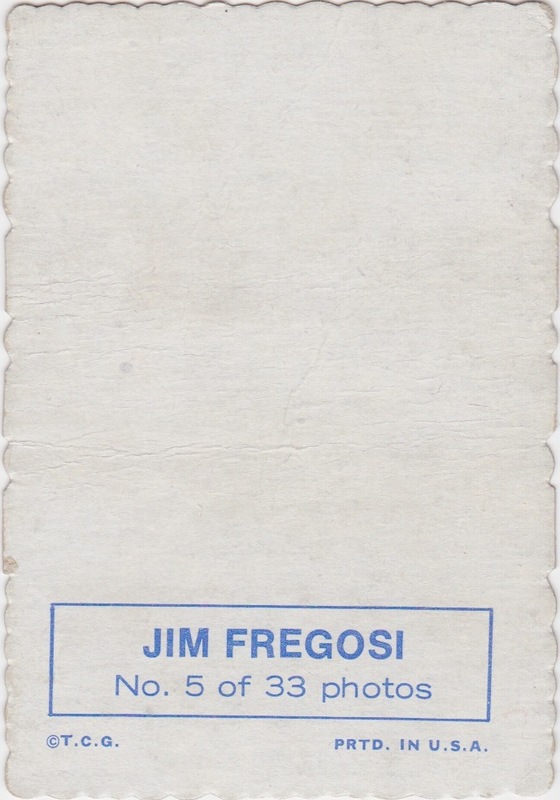 34 years ago today, Pirates infielder Jim Fregosi pinch-hit in the 9th inning with the score tied 3-3 and a go-ahead run on second. Phillies manager Danny Ozark brought in fireballer Tug McGraw, who sent Fregosi down swinging. 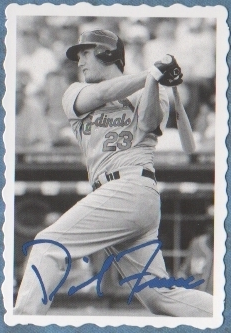 It would be Jim's final strikeout in an 18-year career and he retired as a player (and unofficial bench coach) two days later. Jim had a special motivation for retiring mid-year, as he'd struck a deal to return to LA as the new Angels manager. California finished 62-54 under him, not bad for a rookie skipper, and just 5 games off the AL West pace set by Kansas City. 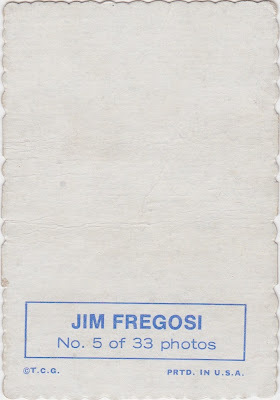 Note that May 29th marked Fregosi's last strikeout, but not his final game in Pirate pinstripes. Read my 1966 O-Pee-Chee #5 profile for a breakdown of his last month as a player, Chuck Tanner's love of double (or triple) switches, and Jim's one career inning at second base. This decorative "deckle edging" gave today's 35-player set (33 original + 2 variations) its name. 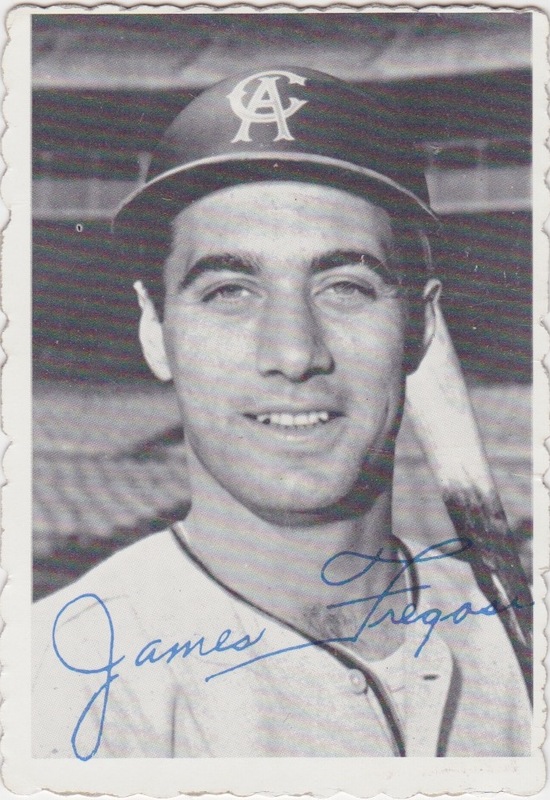 Of Topps' many promotional inserts, Deckles (DECK-uhls) remain one of the easiest to find online and at shows, but don't confuse them with 1969 Decals (example below), a different--and also prevalent--insert set from the same year. 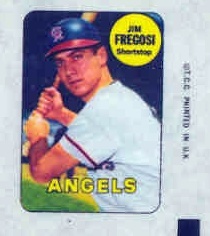 UPDATE: Did you know Fregosi is the Angels leader in batting WAR? Thanks to High Heat Stats for the tip. Fakes / reprints: 2012 Topps Archives included a 15-player deckle subset with 7 current players and 8 vintage HOFers. Haven't otherwise seen fakes or reprints in the marketplace.